For example, if the other company has utilized new technologies and put products of low prices into the market, even if the production is made under the production conditions with the standard cost being as a premise, we are put into a disadvantageous state in terms of competition. Therefore, in order to lessen such risk, it is indispensable to engage in activities to lower the cost (cost improvement activities) even after the production has started. 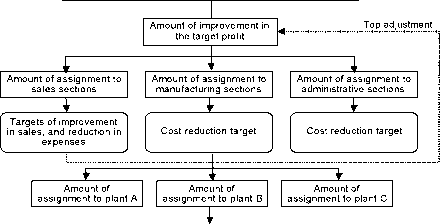 The techniques such as TQC, TPM, JIT, VE and IE have been supporting continuous cost improvement activities in the daily production process. And it can be said that administrative accounting also plays an important role for cost improvement activities. In this paragraph, two approaching methods of cost improvement activities will be described. The cost improvement can roughly be classified into 1) Cost improvement for each product, and 2) Cost improvement for each cost element. Cost improvement for each product is implemented as a following up of cost planning activities when there is a big gap between the actual cost and the target cost during a certain period after the manufacturing (mass production) of new products and services has been started. It may also be implemented with a view to recovery of profitability in future product manufacturing. Meanwhile, the cost improvement for each cost element is promoted by developing the cost reduction target required for the attainment of the profit plan into each hierarchy of the organization during the course of the budget compilation. In the cost improvement for each product, VE should be implemented, led by the purchasing/manufacturing department, and the improvement of the quality of materials of new products, change in the shape of components, improvement in the fabrication method, and review of work procedures, etc. are carried out. Also, in the cost improvement for unprofitable products, usually a project team is organized, and the cost reduction measures are taken on the basis of the cost analysis for unprofitable products,. In the cost improvement for each element, by means of the administrative accounting system, the target of cost reduction is set according to the procedure as shown in Table 4-5-24, and its progress is managed. 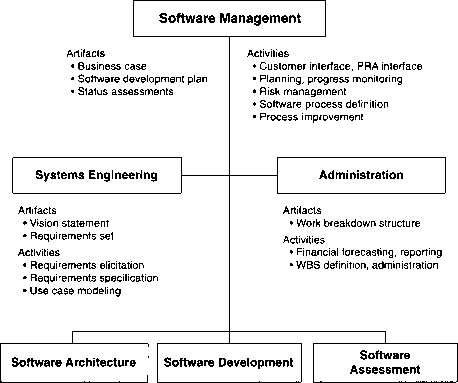 What kind of role the administrative accounting system plays in the approach of cost improvement for each element, is reviewed hereunder by focusing on the manufacturing sections. Miura : section ? department ? ?